Most hair grows no more than half an inch each month, aka an eternity once you've decided to grow out a pixie, bob, or lob. But that doesn't mean you can't speed up the process. We polled hair pros for the quickest, most effective ways to kick follicles into high gear and get longer hair fast. “A healthy diet and vitamins are key to growing stronger, longer hair,” says Michelle Cleveland, celebrity hairstylist and founder of Hair Addicts salon. Foods such as salmon are loaded with omega-3 and omega-6 fatty acids as well as antioxidants which can reduce hair loss and increase hair density. Another plant based protein option is beans which provide other hair-healthy nutrients like iron, biotin, and folate. It's no secret that strong hair equals strong scalp. According to a recent study, daily scalp massages are proven to increase hair thickness. Justine Marjan, global hair stylist for TRESemmé, suggests spending five minutes a day massaging your scalp (or, she says, "get your significant other to do it!"). It's a myth that you have to cut your hair every six to eight weeks. "If you are using a great shampoo and conditioner like TRESemmé Repair and Protect 7, doing treatment masks regularly like Ouai Treatment Masque and Olaplex, and using non-damaging tools like GHD, you can go up to six months without a trim," Marjan says. "Some people swear that if they cut their hair during certain cycles of the moon it will help it grow, but that is up to personal experience!" Sleeping on a smooth surface reduces nighttime friction, which means less breakage (and bed head) in the morning. Marjan recommends switching from cotton pillowcases to silk ones like Slip. 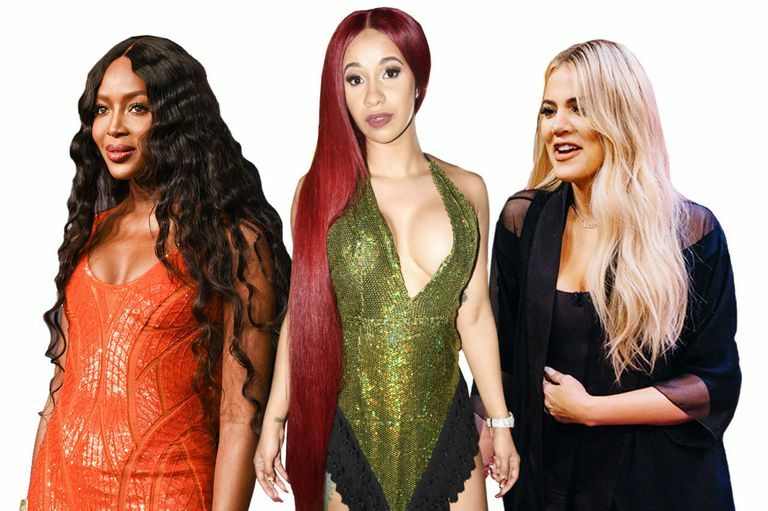 Never blow-dry AND heat style on the same day, cautions hair stylist Laura Polko, who works with Chrissy Teigen, Shay Mitchell, and Olivia Munn. "In an ideal world, air-dried hair would be the best hairstyle, but thats not most people's reality," she says. To avoid damage and dryness, "do one or the other, and on off days don't go over dirty hair with heat again." Bottom line: Excess heat hinders hair growth. Depending on your hair type, "the more you wash and style will take a toll on your hair, so it should be done to a minimum," Marjan says, but that doesn't mean abstinence is the only answer. "If you are washing with great products, using heat protectants and non-damaging tools—I like that GHD irons have a single heat setting at the optimal temperature, 365 degrees, that will style without compromising the cuticle layer—washing and styling shouldn't be a problem." "Low and lose ponytails are ideal," says Polko, whereas high, tight ponytails "pulls at the hair and cause breakage around the hairline and at the nape of the neck. Tight ponytail holders can cause breakage when tied too tight for too long." A natural boar bristle brush is worth the investment, says Adam Campbell, whose clients include Angelina Jolie and Ashley Greene. "Brushing stimulates blood flow to your scalp, which will bring needed nutrients to your hair follicles, creating healthier, stronger strands of hair," he adds. "Also, brushing will distribute natural oils through the shaft of your hair, keeping in needed moisture and protecting hair from outside elements." But brush gently, Polko says. "Start from the bottom and gently work your way up, getting out knots. Don't brush vigorously and rip at the hair." "Going blond will always compromise the integrity of the hair and leave it more prone to breakage," Marjan says. "I always say hair either has to be short and blond or long and dark, unless you want to try extensions, of course." There's flimsy evidence that rinsing hair with cold water does more than disrupt a warm shower, but Marjan insists that cold water plus apple cider vinegar will help to close the cuticle layer of the hair, leaving it shinier. So bring your Bragg into the shower. Cleveland suggests adding safe supplements to your routine. Both Cleveland and her clients are take Ouai's hair supplement pack and have seen major results. Ouai’s pack contains Biotin, Silica, Ashwagandha and Amino acids, which all work to support healthy hair growth. When growth is your goal, use extensions only for special occasions and for short periods of time, Campbell says. "Clip-ins are okay as long as they are applied properly and removed when you get home. The extra weight can rip your hair out at the root. The same goes for permanent extensions."